New Zealand boasts more than it’s fair share of comedic talent! Show your guests a good time with one - or several - of our hilarious, down-to-earth, sometimes cheeky, but always supremely talented comedians. Up-and-coming comedienne At just 19 years old, Ruby undeniably holds her own amongst the more experienced in the comedy scene. 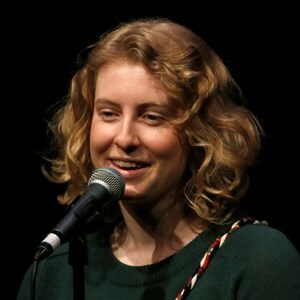 Having won RAW Quest 2017 after just a few months of stand up, Ruby went on to perform in her first Comedy Festival show, and take out the award for Best Debut in 2018. She has performed in The Best Comedy Show On Earth at Sky City, opened for Urzila Carlson, is booked to open for Greg Fleet, currently works as a writer for 7 Days, and shows no signs of slowing down. With a mix of perfect comedic timing, musical elements, and fresh and original observations on the world, Ruby brings a unique and exciting new voice to comedy. Born and raised in the New Zealand and the son of immigrant parents, Pax brings a unique perspective that resonates with people of every background. His hectic blend of personal stories and insightful observations will have you pondering the big questions of life whilst simultaneously doubled over with laughter. Raw Comedy Quest finalist & Billy T Comedy Award nominee. Hailing from Cripple Creek Colorado, country music legend, Wilson Dixon's melodic philosophies on life have seen him become one of the most loved characters on the Aust, UK and NZ circuit. He has had sold out season's at The New International Comedy Festival and has won awards for "Best Show" and in 2010 he won the supreme Festival Award "The Fred" for outstanding artistic achievement. Before sweeping the New Zealand International Comedy Festival his show "Wilson Dixon's American Dream" played to rave reviews at the 2009 Edinburgh Fringe and 2010 Melbourne International Comedy Festival. Directly after the Edinburgh Fringe Wilson went on to appear in his own 4 part radio series for the BBC - "The Wilson Dixon Line" which received a second transmission in 2010. "The Wilson Dixon Line" was also broadcast on Australia's ABC Radio in January 2011. Wilson has performed at almost every UK comedy venue and Festival including the Edinburgh Fringe, Glasgow Comedy Festival and the Leicester Comedy Festival to name but a few. Wilson has also appeared on the NZ Zealand International Comedy Festival's " Comedy Gala" 4 years in a row, and in 2009 he appeared in the "TV2 Christmas Gala" and the ABC's "Spicks and Specks" in Australia and Paramount UK's "The World Stands Up". Wilson has also supported live tours with UK greats Stewart Lee and David O'Doherty. In July 2010 Wilson completed a successful tour of the UK with "Wilson Dixon's American Dream". Wilson was the headline act in TV2's "Comedy Christmas Cracker - The Work Do" 2010 and was invited to appear in TV3's "7 Days" 2010 season finale and also featured as a headliner in TV2′s "Comedy Jam - A Night of Musical Comedy". 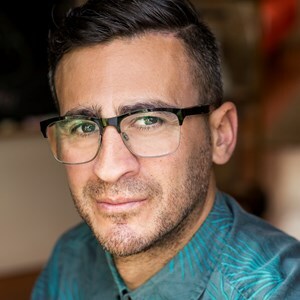 7 Days regular and star of “What We Do In The Shadows”, Cori Gonzalez-Macuer has been performing his unique brand of self-deprecating, observational and deadpan comedy since 2003. In that time he's won the Billy T James Award, appeared on film and television, and performed in Australia, America, England, Scotland, Singapore and as far as the Middle East and South America. Since becoming a father recently, Cori's truly happy for the first time ever, but that doesn't mean he’s stopped disliking a lot of stuff. From NZ ‘Socialites’, to people who post inspirational quotes, to reality TV "stars", there's a lot of annoying people on this earth. Join him as he dissects the people he desperately hopes his daughter doesn't turn into.